Apple could potentially be forced to exit the Italian market, at least temporarily, due to its product warranty policy, which local regulatory organs have found to be misleading to customers. It all started last year when Apple was fined 900,000 euro in Italy (the equivalent of $1,200,000 back then) for telling customers only about its one-year warranty, and selling them its AppleCare plan in case they wanted to get extended service. However, businesses that operate within the country are required by law to offer a two-year warranty for their products at no extra charge. Although Cupertino agreed to alter its policies in accordance to the local law, authorities still think that Apple does not inform Italian customers accordingly. Therefore, customers are being encouraged to purchase the premium warranty plan, although they should be getting that service for free. If Apple fails to meet the demands of Italian authorities, it could be facing a fine of up to 300,000 euros (approximately $377,500), not to mention that it will have to close its operations in Italy for up to 30 days. Apple has been given 30 days to act. somebody is not playing fair. That's a pretty cool law. Wish we had that kind of consumer protection here in the US. Good luck! Lolzz. Apple got backing from Obama. Nothing will ever happen to them here in the US. I don't want the government to have that much control. Sure its sounds good in this instance but what else would this law effect. Keep the government regulating as little as we possibly need them to. Without government regulations we had 20 hour work days, child labor, unsafe working conditions etc. Do you support those types of things? At the turn of the century during the second industrial revolution, we needed the government to intervene for these things. We also needed government intervention for car safety regulations and car fuel efficiency (during the gas crises). Today, we need government controls on pollution. Some things just aren't a problem and the government should let them be. Man the ignorance oozes from this post. It's funny that bring up the car inefficiencies and safety. A new car cost 1/3 of the average income(per year) of the country in 1970, now it costs 3/4+ of one years income. That's almost all due to government regulations. Also, no one was forced to work 80 hours a week, for low wages during the beginning of the "second industrial revolution." They did it by choice, just like people do in china NOW. The government just creates inefficiencies in the marketplace, and doesn't belong there. So you're saying that whole crash testing thing is just unnecesary regulation forced on us be the government with no benefit at all to the consumer? Seatbelt, child safety seats, or airbags... Are all these proven life saving regulations too? Would you drive a car that hasn't been proven safe? How about some unregulated drinking water? Live in a house that wasn't built to code? Some people kill me, always crying about too much regulation but the first negative impact from deregulation you experience your the first one saying "What's the government gonna do about this?!?" That is not ignorance. The cost for cars is going up is due to many factors including government regulation. Cars were unsafe and wasteful. Today the price is higher due to inflation and manufacturing costs. Today, much regulation in the auto industry is not needed because many people would rather buy a car that was safe than an unsafe car that was cheaper. Also, the most jobs that were available were manufacturing jobs that payed very little for long hours. If a people protested this with a strike or other means, the companies would clean house and hire the southern and eastern Europeans coming off the next ships. It was that way or no way. At some points, the government sent troops to stop a strike and some people were killed. I agree that government regulation for the most part creates waste and I think that the government should be hands-off on most things, but there all some times that a government has to intervene. I was giving a few examples of that in the past where things going on today would not apply as much because it is a different time. a good control is always needed.. so by this you are saying you rather buy another 1 year warranty coverage than given to you free by government regulations over OEMs? Smart move there i would say.. It's like this in whole EU, not only in Italy, afaik. So Apple finds that its not making enough money from the devices alone, it still wants to squeeze the consumers some more. Apple won't get kicked out. They will take advantage of breaking (or bending) the law until the last second and then they will pay whatever legal fees they have to pay in order to stay in Italy. That's just how they operate. They know they are the big dog and they know they can s**t in anyone's yard as long as their bark is big enough to back it up. In this case between their legal team and obscene amount of money, it is. Wish we had the same Law in India. For Mobile Devices,we get a minimum of 1 year Warranty. Its not worrying news for Apple because Tim cook knows the iPhobes will do whatever it takes to get the iphad. See, Government Regulations aren't always a bad thing. 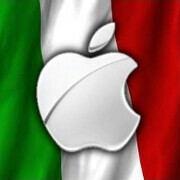 Love to see Apple get kicked out of Italian market. Good! should happen here in USA also, they do the same tactics, but everyone is so caught up in flashing the little Apple icon or be seen with an Apple product that they pay any price for the product to include Apple Care. There's no such law in the US. Every manufacturer offers a 1 year warranty. Even in Malta ( EU country) we only get 1 yr warantee , when in fact it should be two years !